The evening after Grandma's graveside service, I walked past Grandma and Grandpa's house. It had been almost eight years since I took a writing job 2000 miles away. The sun was halfway down. The windows dark. Grandpa's garden idle. Grandpa and Grandma used to sit there reading or watching the news. I could always go around to their back door, and they always had time to talk. Memories flooded back as I walked by the 3x4x8-foot straw bales that still sat beside the pickup shed. Twenty-five years before, Coulee City was enchanted, my grandparents’ town, a place I only visited two or three times a year. When we moved to Coulee City in December 1990, life and work rubbed off some of the wonder. But Grandpa let me keep cows on his pasture around what had been the Coulee City Stockyards. There were afternoons spent fixing fence with grandpa, stumbling out of bed to check the cows at calving time, the time I spent trying to convince him we could use Curtail instead of Roundup on the thistles, walking to the house slower than I usually did so that we could talk about the sunset and the blackbirds. The pastures aren’t irrigated anymore. Some Ranger variety alfalfa still persisted. A tangle of Russian olive and cattails overtook the stream bank. A half grown mule deer stopped chewing to watch me. I heard one or two other deer crossing the “dump road” on the far side of the pasture. This place connects me to what was and reminds me that it cannot be again. J.R.R. 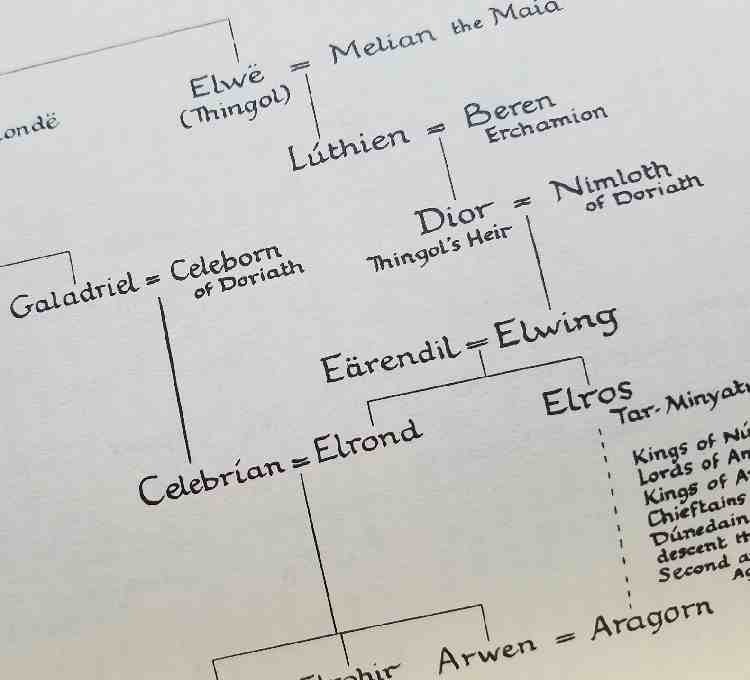 Tolkien's history of Middle Earth also unfolds in ages. Characters enter and leave the story. Events can be cyclical but not circular. "'I don't like anything here at all.' said Frodo, 'step or stone, breath or bone. Earth, air and water all seem accursed. But so our path is laid.'" "'Yes, that's so,' said Sam. 'And we shouldn't be here at all, if we'd known more about it before we started. But I suppose it's often that way. The brave things in the old tales and songs, Mr. Frodo: adventures, as I used to call them. I used to think that they were things the wonderful folk of the stories went out and looked for, because they wanted them, because they were exciting and life was a bit dull, a kind of a sport, as you might say. But that's not the way of it with the tales that really mattered, or the ones that stay in the mind. Folk seem to have been just landed in them, usually their paths were laid that way, as you put it. But I expect they had lots of chances, like us, of turning back, only they didn't. And if they had, we shouldn't know, because they'd have been forgotten. We hear about those as just went on and not all to a good end, mind you; at least not to what folk inside a story and not outside it call a good end. You know, coming home, and finding things all right, though not quite the same like old Mr Bilbo. But those aren't always the best tales to hear, though they may be the best tales to get landed in! I wonder what sort of a tale we've fallen into?'" "'I wonder,' said Frodo. 'But I don't know. And that's the way of a real tale. Take any one that you're fond of. You may know, or guess, what kind of a tale it is, happy-ending or sad-ending, but the people in it don't know. And you don't want them to.'" "'No, sir, of course not. Beren now, he never thought he was going to get that Silmaril from the Iron Crown in Thangorodrim, and yet he did, and that was a worse place and a blacker danger than ours. But that's a long tale, of course, and goes on past the happiness and into grief and beyond it and the Silmaril went on and came to Erendil. And why, sir, I never thought of that before! We've got some of the light of it in that star-glass that the Lady gave you! Why, to think of it, we're in the same tale still! It's going on. Don't the great tales never end?'" "'No, they never end as tales,' said Frodo. 'But the people in them come, and go when their part's ended. Our part will end later or sooner.'" Beren too came to a story in progress. His father was betrayed and killed by Morgoth's Orcs. 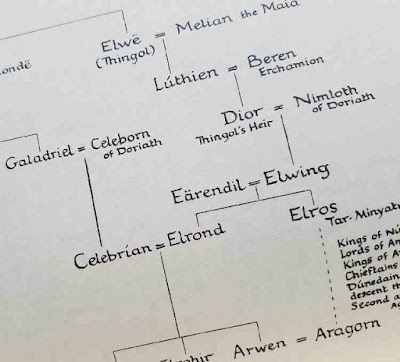 Beren wandered until he entered Doriath, a land protected from Morgoth's evil by it's queen Melian, a Maia, who for her love of Thingol, remained in Middle Earth. Thingol then, thinking to send him to his death, sends Beren to retrieve one of the three Silmarils then captive in the crown of Morgoth. Thus is Beren's fate entwined not only with Thingol but with the Silmarils and the history of the elves. Luthien escapes her father and comes to Beren's aid, saving his life as he saves hers until Beren, in his final approach to Morgoth's stronghold, tries to leave her in the care of Huan, the great wolfhound of Valinor, who has attached himself to them. thou one must choose, exile or oath! that hidden before you lies in wait. in love must in thy dying share. for peace, but, rather, find there pain. witless and redeless, death to woo. with ghostly clawlike wings of hell. are ye I love, for whom I fought. to Angband's grinning portals stride? my feet shall bear me nevermore. Beren and Luthien follow Huan's advice, and though their path is frought with danger and sorrow, their love seems to preserve them from the power that passes through their hands and the pride that had ensnared the maker of the Silmarils, and would later destroy Turin, the son of Hurin, who like Beren was hunted by Morgoth. There will be other joys…but not those. Hurts can heal, but there's no going back to how we were before. Frodo and Sam made it to Mount Doom, but it was Gollum—whom Bilbo and Frodo pitied and did not kill—who inadvertently destroyed the ring. The return of King Elessar and the defeat of Sauron ushered in a new age in Middle Earth, but these goods likewise did not erase the cost. "'Are you in pain, Frodo?' said Gandalf quietly as he rode by Frodo's side," (on the anniversary of a wound Frodo received). "'Well, yes I am,' said Frodo. 'It is my shoulder. The wound aches, and the memory of darkness is heavy on me. It was a year ago today.'" "'Alas! There are some wounds that cannot be wholly cured,' said Gandalf." "'I fear it may be so with mine,' said Frodo. 'There is no real going back. Though I may come to the Shire, it will not seem the same; for I shall not be the same. I am wounded with knife, sting, and tooth, and a long burden. Where shall I find rest?'" When the time comes for Frodo to leave Middle-Earth with Gandalf and the elves, Gandalf says: "'…Well, here at last, dear friends, on the shores of the sea comes the end of our fellowship in middle-earth. Go in peace! I will not say: do not weep for not all tears are an evil.'" "But to Sam the evening deepened to darkness as he stood at the Haven; and as he looked at the grey sea he saw only a shadow in the waters that was soon lost in the West. There he stood far into the night, hearing only the sigh and murmur of the waves on the shores of Middle-Earth, and the sound of them sank deep into his heart...."
"The Return of the King" closes: "…Sam turned to Bywater, and so came back up the Hill, as day was ending once more. And he went on, and there was yellow light, and fire within; and the evening meal was ready, and he was expected. And Rose drew him in, and set him in his chair, and put little Elanor upon his lap." "He drew a deep breath. 'Well, I'm back,' he said." The hope one finds in Tolkien's work is not conditioned on happy endings but rooted in the existence of those good things in the world that are worth sacrificing for. And if the lore of Middle-Earth shares anything with the world we inhabit, it seems the love we share with others does more to preserve us than our achievements...or even our integrity.